Hi guys! I have an exciting new trend to share with you today that I am just so excited about! I'm sure you've heard about upcycling (or creative recycling) which is giving new lives to products you already have. In nail art I think we tend to upcycle a lot with things in our own homes! Using sugar to make textured polish, using craft products (like glitter and foil) to accent our nail art, using toothpicks for cleanup... We re-purpose things all the time! 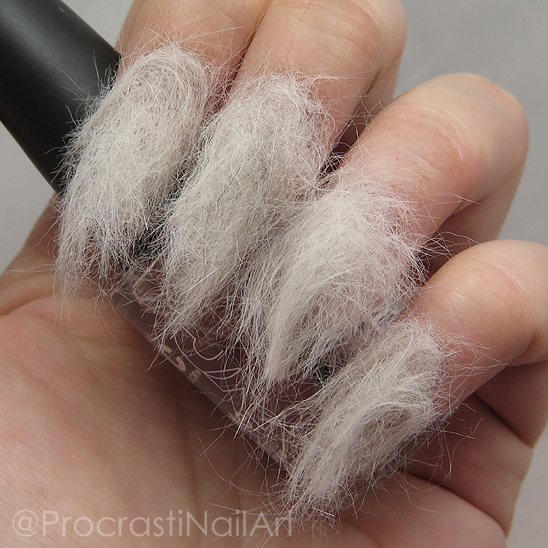 Well, the other day I was getting ready to photograph a mani and noticed some cat hair sticking to one nail, and had a thought... What if I upcycled all the cat hair in my house for nail art! 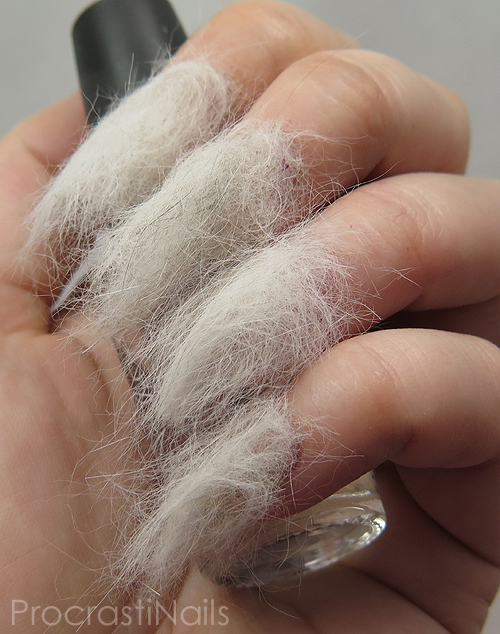 People use cat hair for all sorts of things - why not nails, too! Check under the cut for a better look and more info about how to recreate this look yourself! This is a shockingly easy look to put together. I started with a clear base of NYC New York Color Grand Central Station and then pulled cat hair off of the brush my lovable little muffins use and formed it into four nail-shaped tufts. Stick it to the polish, and then start to form it into the shape you want. Oval, square, stiletto... Whatever you want! Tip: Use a small pair of scissors to shape the edges and clean them up. No one wants a messy looking mani! I can't believe it took me so long to think about upcycling cat hair in this way. I love my cats, and I love to leave the house with my clothes just covered in cat hair, so why not my nails too! And once you have the nails on you can carry a little bit of your cat with you wherever you go... What cat owner wouldn't love that! So, what do you think? Is this a trend you're dying to try? Let me know in the comments! * April Fools! No cats were harmed in the making of this mani! 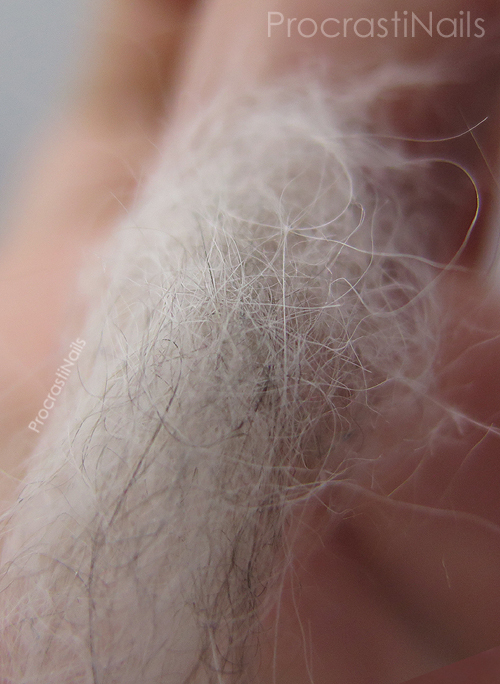 *dies* They are cat hair ZZ-Top nails! 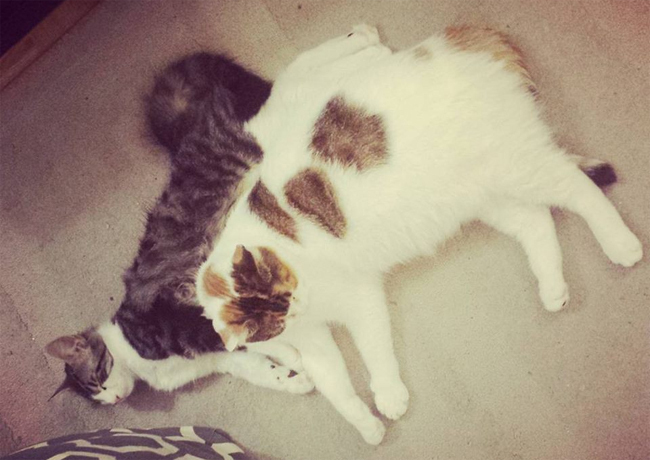 If only I had cats so I could try this myself! Oh god this is awesome, lol!!! Oh I should try this ASAP! My parents have a cat, so I'll have to make a visit this weekend and let her sit on my lap for 5 minutes and then I'll have enough hair on my clothes to cover all ten fingers, and maybe even my toes!